Walden is an off-plan condominium project, set to be finished in 2020. 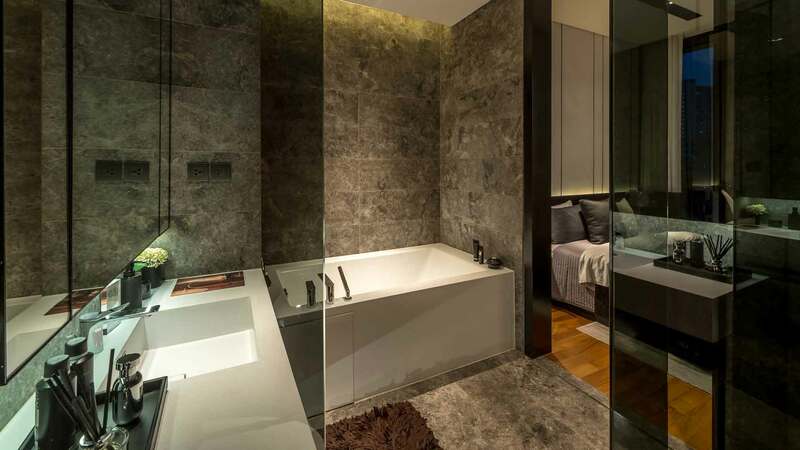 It’s located in the sought-after destination of Asoke and right in the heart of Bangkok. The project consist of only 8 floors and 83 units, giving you a more private and offering a luxurious feeling. The interior is modern and you’ll be able to enjoy a number of amenities, as can be seen below. Habitat Group started out as late as 2012 but has managed to launch a number of successful projects in Thailand, like The Ville Jomtien. They primarily focus on property in the upper-mid scale and with luxury properties. 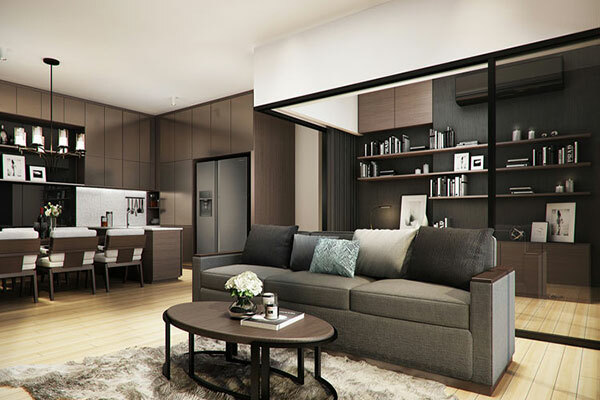 To know more about this project, simply fill in this form and we’ll connect you with a leading agent in Bangkok. 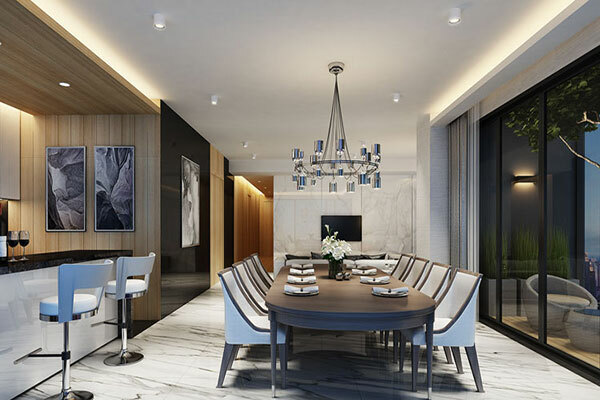 Siamese Exclusive 31 was completed in 2017 and is a high-end condominium located approximately 1,2 km away from the Phrom Phong BTS station, and 850 m from Asoke. 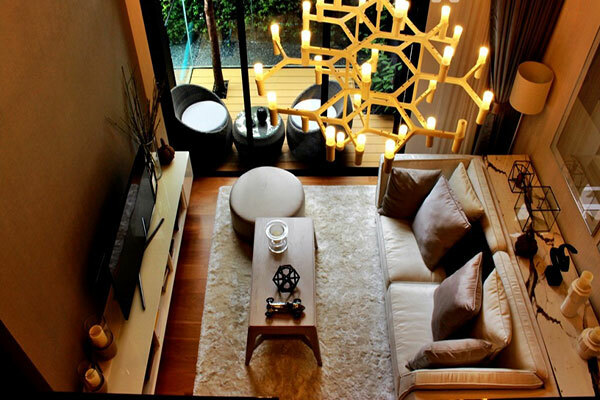 It’s right in the heart of Bangkok and offers a number of modern amenities. The project combines greenery with luxury and private terraces, with 24/7 security and privacy. Siamese Asset was established in 2010 and based in Thailand. The company has finished a handful of projects in Bangkok, some examples are: Siamese Exclusive Queens, Siamese Exclusive, and Siamese Sukhumvit. 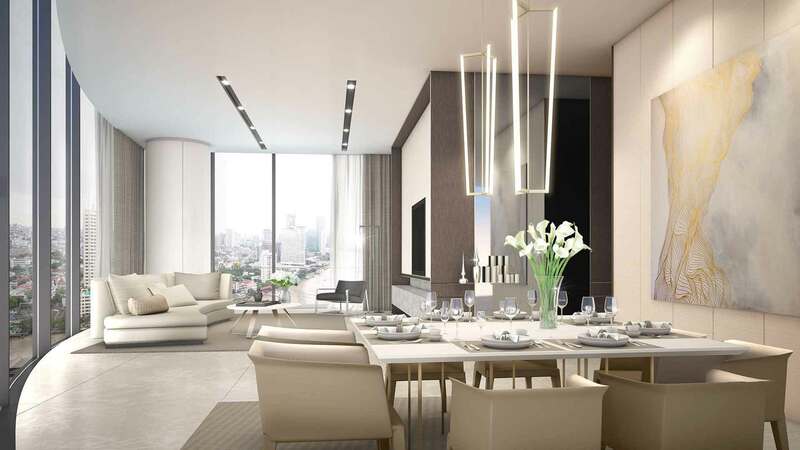 The Sky Sukhumvit is a luxury condominium, located 250 m away from the Udom Suk BTS station. There are a handful of international schools, hospitals, and commercial areas within a distance of 1 km. Property Perfect is listed on the stock exchange of Thailand, and started out in 1985. With more than three decades of experience, the company has managed to become one of the leading developers nationally. Property Perfect has built and manages a number of projects, with properties priced at everything between THB 1 – 150 million. In addition to Bangkok, they build property in Hua Hin, Khao Yai, and more. 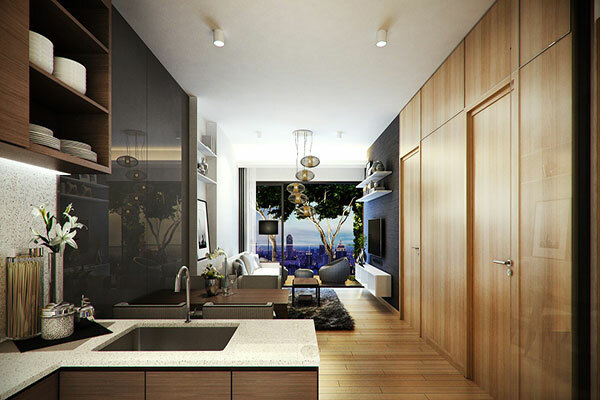 Ideo Mobi Sukhumvit 66 is a high-end condominium located 50 m away from the Udom Suk BTS station. We see more activity going on in areas located further away, places like On Nut and Udom Suk get increasingly interesting. Ideo Mobi Sukhumvit 66 offers a wide range of amenities and services and won the ‘Architecture Multiple Residence Award’ by Property Guru, 2017-2018. Ananda Development PCL is one of the biggest property developers in Thailand and has been involved in many projects over the years. The company was founded in 1999 and is currently headquartered in Bang Phli. Other projects built by Ananda include: Venio Series (condos), Elio Series (condos), AIRI Series (houses), Atoll Series (houses). 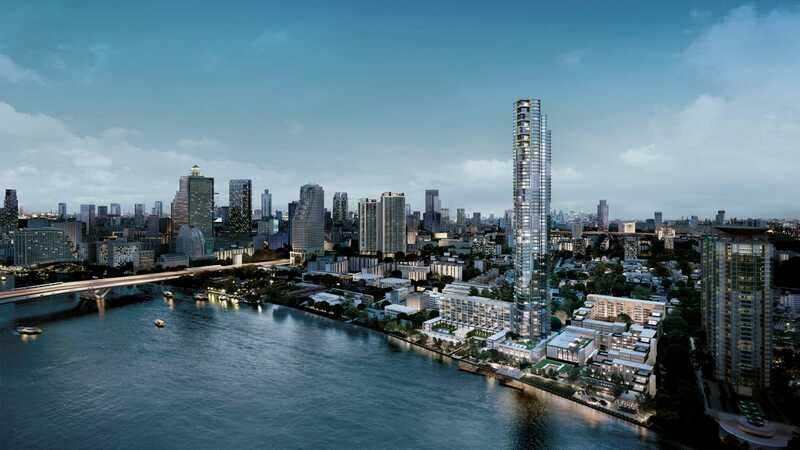 Banyan Tree Residences is a 45 storey luxury condominium located next to the river Chao Phraya. It’s built further away from the hustle and bustle that can be experienced in areas like Phrom Phong and Thong Lo. The project is unique in the sense that there are only four units per floor, giving you more privacy, adding to the luxurious feeling. 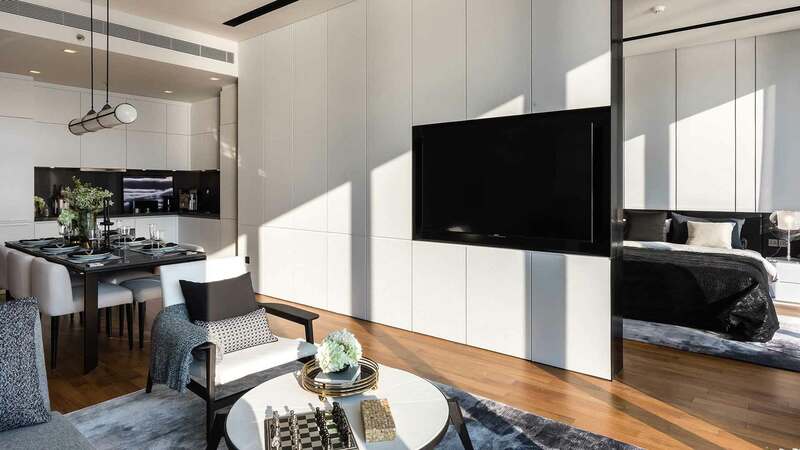 The condo includes a number of modern amenities and services, for example, you can enjoy private dining with a private chef, an elegant rooftop restaurant, a riverside lounge, and more. Nirvana Daii (NVD) is a developer based in Bangkok, it was established with the merger of Nirvana Group (founded in 2005) and the Daii Group. Nirvana Daii has completed a number of projects, including condos, townhouses and home offices. Four Seasons Private Residences is a 5-star luxury compound, with a 350 meter long river frontage. The apartment building is wedged between two high-end hotels, giving you a more luxurious feeling. This reduces the risk of having problems with new projects, that could otherwise block your view, or create noise from construction. Four Seasons Private Residences is indeed a luxurious project, and in the upper price range. Country Group Development (CGD) is an international real estate developer based in Thailand. The company is an investment arm of Country Group and also operates in IT. In addition to Four Seasons Private Residences, they have developed a number of other projects, for example, Capella Bangkok, and Elements Srinakarin. Can foreigners buy property in Bangkok? Yes, foreigners have no particular issues to get freehold ownership of strata-titled property (condominiums). This is a preferred property type in Bangkok, buying villas is not as common. You can’t own land as a foreigner in Thailand, but have the option to lease land for a maximum period of 30 years. Preferably, you should have the possibility to renew the lease for at least 30 years. Do I need to live in Bangkok if I own a property there? No, you don’t necessarily need to live in Bangkok if you own property there. Many foreigners buy property in Bangkok for the sole purpose to rent out their properties. 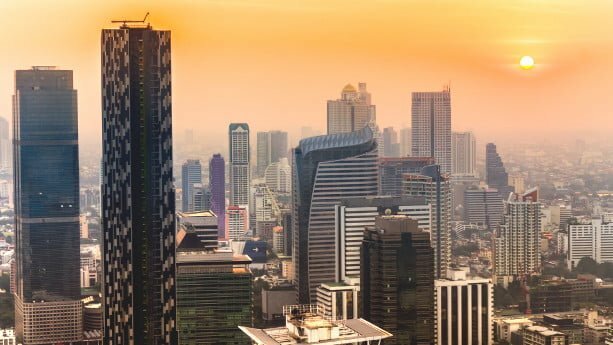 What makes Bangkok a good place for property investments? Bangkok is an international hub with a great deal of foreigners. You can find everything from expats, tourists, digital nomads and retirees, who have decided to settle down in Bangkok. Even if countries like Vietnam and Cambodia get increasingly interesting, and grow faster economically, Bangkok will always be a preferred choice among many foreigners. Some people claim that property prices are overvalued in Bangkok. But maximizing rental yields, or capital appreciations, are not always the sole goals for buyers. As a matter of fact, prices are still low, and the yields high, compared to places like Singapore, Japan, Mainland China and Hong Kong SAR. How many properties can I buy? There’s no cap to the amount of properties that you can buy as a foreigner. However, foreigners can maximum buy 49% of the units in condominium projects. Yes, you generally have no issues to rent out your property in Bangkok. Just be careful if you plan to rent out on AirBNB. According to the Hotel Act (2004), you can only rent out your apartment for a minimum period of 30 days at a time. The condo management (board) often stipulate their own rules as well. Be sure to confirm what regulations that apply in your specific compound, before you buy. Can I own land as a foreigner in Bangkok? You cannot own land as a foreigner, this is a common practice in many other Southeast Asian countries. Instead, you can lease land during a period of 30 years, sometimes with an option to renew the leasehold period. Some foreigners take the help of a local nominee, or buy land with the help of their spouse, even if these can be more risky options. How high are the yields? Thailand is fairly stagnated economically compared to neighbouring countries like Vietnam, Cambodia, and the Philippines. The yields average at around 4% in Bangkok, which is okay, but still lower compared to many of its neighbours. Still, places like Bangkok and Phuket offer a great quality of life, and are more internationalized. Even if places like Ho Chi Minh City are catching up, Bangkok will be the preferred choice for many foreign buyers. You’ll find a great number of international schools, high-end restaurants and plush bars that can’t be found elsewhere. Can I get a long term visa if I buy property in Thailand? Another great benefit of buying property in Bangkok is that you can apply for a long term investment visa referred to as the Thai Investment Visa. You need to renew the visa on a yearly basis, technically, you can stay in Thailand indefinitely. The benefits are similar to permanent residents. If you’re 50 years old or above you also have the option to apply for a retirement visa. On top of that, Thailand offers a so called Elite Card, in short words, you ‘buy’ your right to stay.